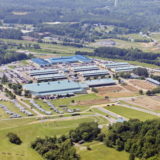 The Virginia Horse Center is unparalleled in the equine world. Come and see for yourself! 10 tent sites, 96 full hook-up sites. $25-$40 Pets Welcome, WiFi.